Android android hacks tips TUTORIALS OTG CABLE : WHAT IS IT AND WHAT CAN I DO WITH IT? OTG CABLE : WHAT IS IT AND WHAT CAN I DO WITH IT? 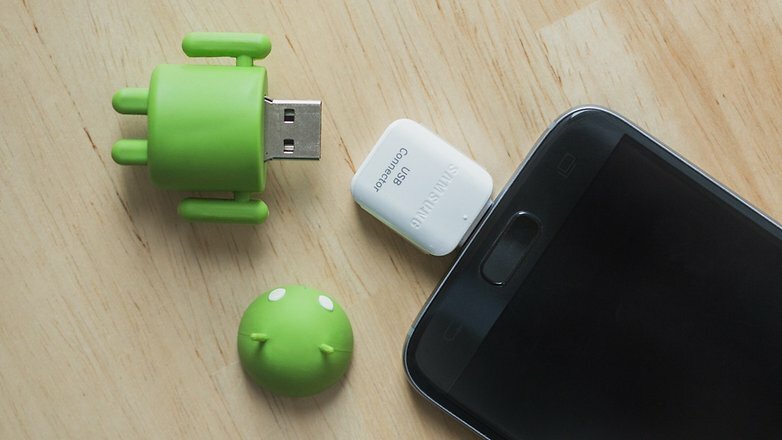 Sometimes the most useful things have the dullest names, and that's definitely the case with USB OTG: it's in stacks of devices and can do some really clever stuff, but many people have never heard of it. If your device is OTG compatible, you’ll also need a suitable OTG cable or connector for your device. You can grab one for a few bucks on Amazon. This is one of the most typical ways to use USB OTG. It's possible to couple your smartphone or tablet with peripheral devices, such as a mouse or a keyboard, which you can then use to control it. You can connect to storage devices such as USB sticks or external hard drives with USB OTG. Using a file manager on your device, you can directly access data on an external storage device and play movies or music without having to store them on your phone. Enjoy mobile gaming but yearn for a bit more control? Why not connect a gamepad to your smartphone? Using a wired Xbox 360 controller is an easy way to do this: just connect it to your phone with a USB OTG cable, launch a game and it should work right away, no configuration required. What is your favorite use for USB OTG? Let me know in the comments section below. !